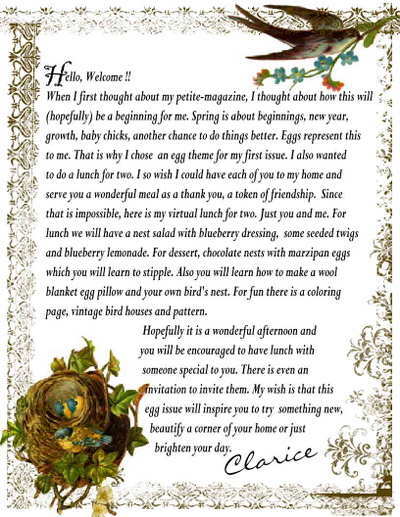 8 posts categorized "My Petite Magazine"
Hello everyone, well when you read this I will probably on a plane, that my own sweet hubby has inspected, flying over CA. But I will be back next weekend. I still have a few autumn corners to share !! I just sold another copy of my egg issue and although most of you know about it. I thought I should write about it, as we are entering spring. Some thought it was an Easter theme but it is not. 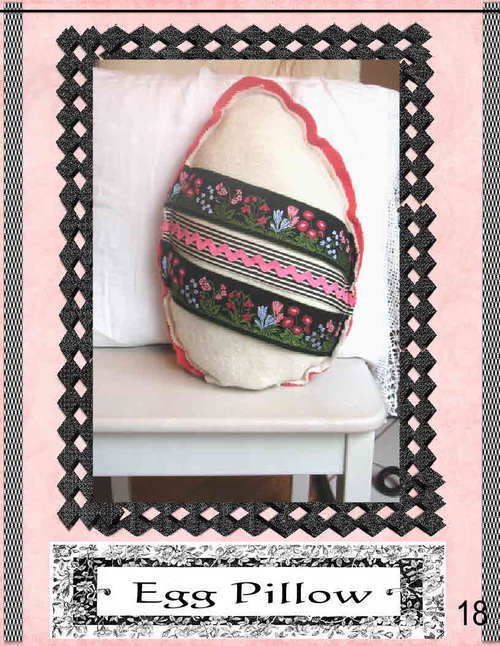 Although it is perfect for Easter, it is more just a spring issue. I choose the theme of eggs because to me they symbolize spring. 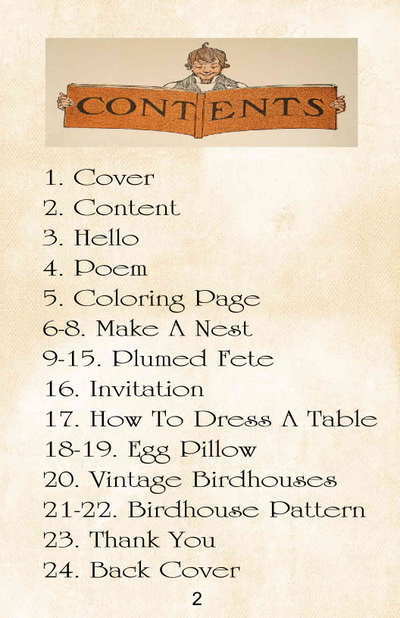 There is crafts, a menu, recipes, poem, ect. all having to do with the egg (or nest) theme. 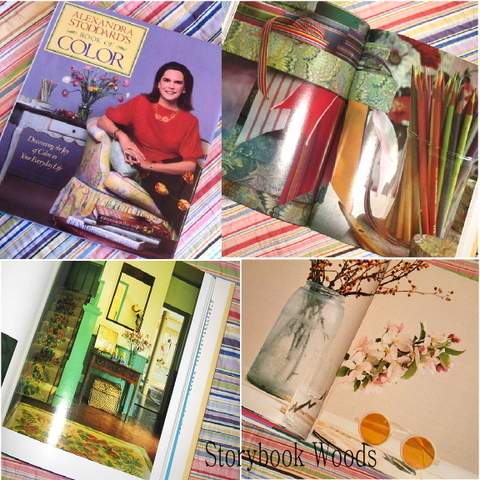 I am posting the contents and you can read more about it here. I am very red with embarrassed that it is almost a year later and I have no new petite-magazine to share with you. I am writing a baking issue and trying to finish it. Life is to fast and my days are too short, but I am trying. 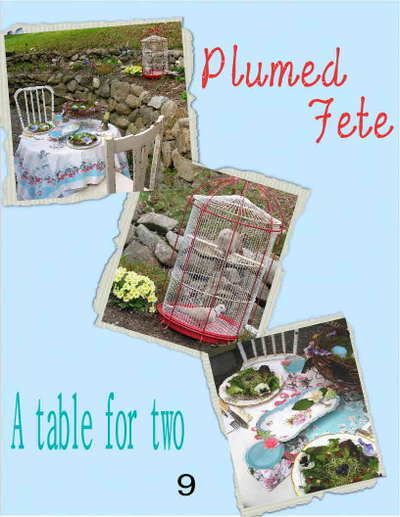 I was wondering if any one who bought a copy of my petite magazine, would consider going to my store and writing a review. I also want to thank you, I have sold 24 issues. I have been asked when the next issue will be out. I do not have a lot of extra time and this next issue will require me to go on several photo shoots in different locations. So it will probably be the end of summer beginning of fall. But I will let you know. You ladies are wonderful, all comments about my fireplace was very helpful. I did want to say that is was given to me to sell or keep. We are free to do what ever we want with it. I am still thinking about it. Vintage Rose: A step back into the past! 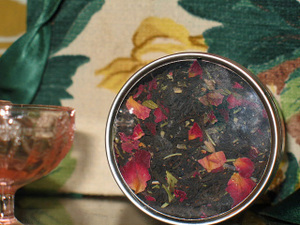 This Victorian Earl Grey is a wonderful mixture of Rose Congou, rose petals, lavender, rosemary and natural Bergamot oil. This tea has a sweet, floral taste that is adored by old and young alike. Okay, wah-laa here is what I have been up to. A petite-magazine to sell. It is a PDF file that you purchase and save. You can print it up or just read it on your computer. I will say it is very large (24 pages, all with pictures) so it can take a while to download but hopefully worth it. 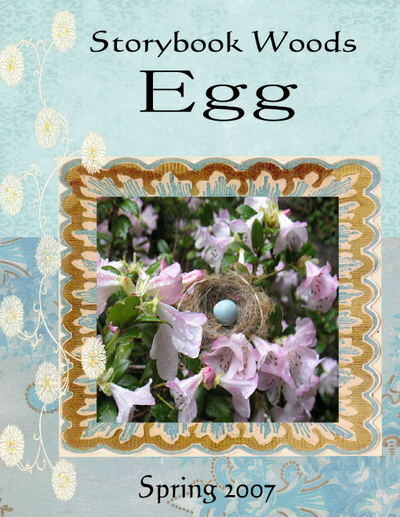 I chose an egg theme, which seemed perfect for spring and a new beginning. Read below and you can see what there is in the egg issue. It is $6.25 and as I said 24 pages. If you have questions feel free to e-mail me. Thank you Angie, Mary and Kristin helping me and putting up with my neurotic behavior this past week.